OMGosh... how can they look so alike?? Nadia Apr 11 2019 11:13 pm Am I the only one who thinks he looks like So Ji Sub? Greta Oct 02 2018 6:51 am Im on ep.10 of Prison Playbook?? ?I love his chemistry with Krystal despite the age gap.Great drama and cast I just love everyone in the drama and I love the Je Hyeok- Joon Hoo friendship?. lulu Sep 25 2018 12:11 pm i love korean movies,dramas.of all the dramas i watched prison playbook is the best.i watched almost 30 times,until now.i cannot sleep if i didnt watched any episode of this drama.i love it so much. Ginger Crunch Sep 15 2018 4:39 am His character in ‘Prison Playbook’ cemented a place in my ‘one to follow’ and if his performance is anything to go by in that drama then geez thank you thank you thank you for the discovery! Now his new movie ‘Quantum Physics’ is definitely something to look forward to and to see him shine once again. What a blessing to have him on our screens ? ERIN Apr 11 2018 4:17 am I like his character in prison playbook. It was a fun drama. sidi ann Feb 21 2018 4:03 pm damn.. he's good! silvia Feb 19 2018 12:11 pm You are so..lovely...and handsome. Lilibeth Feb 14 2018 2:43 pm I love your Prison Playbook. The Best ever! Brigida Feb 06 2018 2:17 pm I love his eyes! Handsome guy and very good actor. I love your performance in prison playbook. 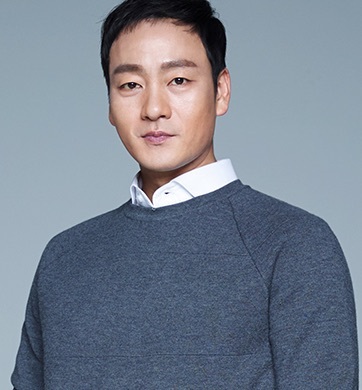 ZoeA Jan 27 2018 5:57 pm Absolutely loved you in Prison Playbook. I will miss your character, but I am looking forward to seeing what you do next. I wish you the luck to match your talent. PAULINE L PERSHAD Jan 27 2018 9:12 am I fell in love with your character on the first show I watched of you Prison Playbook, hope that's how you are off camera sweet, cool, calm, and collective and last but not least a handsome guy. If you have a wife or a girlfriend tell her she is one lucky sista (sister), best of luck in your career path and all the good you do. Mimi Jan 21 2018 3:45 am Really love you in wise prison life!!! Hope to see you in more dramas park hae soo? santhi kartika putri Jan 07 2018 6:44 am I love u oppa. Fighting!!!! Che Dec 16 2017 11:31 am I really like his character on Prison Playbook. The drama has a very impressive humor. It's kinda dark but funny at the same time. And as I read the comments, Prison Playbook is his first role? wow Congratualtions!! His face is looks very different with beard but still look gorgeous. Rih Dec 09 2017 7:27 am his role in prison playbook is awesome! no doubt!!! Marie cristabel Aug 14 2017 2:46 am Love u in six flying dragons!! So masculine and ruggedly handsome in this drama!? Valerie Jun 10 2017 6:49 pm I absolutely loved you in "Six Flying Dragons!" I hope to see more of you soon! Lee Seo Hwa Jan 27 2017 9:57 am I like his bromance scene with Heo Joon Jae from legend of the blue sea! Best actor from Legend of the Blue Sea! HS Dec 01 2015 10:06 am Impressive in six flying dragons; voice, acting, overall.